Maserati Repair in Orlando | C & G Auto Center Inc. If you live near and around Orlando, Davenport, and Winter Park and looking for impeccable Maserati service, look no further than the staff of pros at C & G Auto Center. Not only is our team of skilled auto mechanics highly capable of auto repair work, they’re friendly and communicate clearly about what exactly needs to be done to your vehicle. Allow the C & G Auto Center auto mechanics and customer service advisors to make Maserati service a hassle-free experience for you. 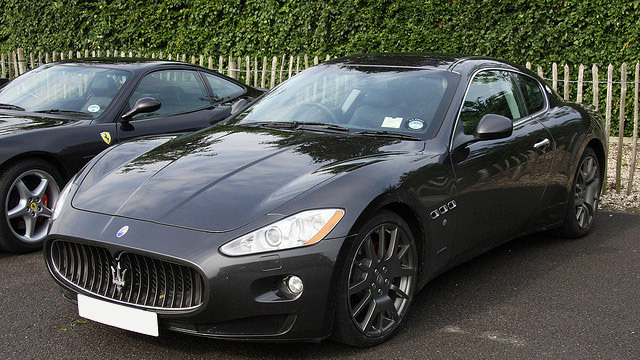 When you come to C & G Auto Center for Maserati service, you’ll be treated like a human being. Our staff of auto mechanics have years of experience in all types of auto repair services and have the mission of having your time with us be efficient and easy. We want our clients to feel like part of our extended family. If auto repairs take some time, we invite you to wait in our comfortable waiting area with candy and cartoons for the kids. If you need to move along with your day, we offer shuttle services, Uber, or can set you up with a rental car through Enterprise at a discounted rate. “I picked up my car yesterday out of the shop and the way it sounding brought tears to my eyes compared to when I first brought to them. They are kind and very professional. We found a new home for ALL of our automotive concerns. Thanks C & G Auto Center for such outstanding work.” -- Kennin P.
C & G Auto Center is committed to providing car owners in and around the Orlando, Davenport, and Winter Park areas with top-notch auto repair and customer service. Please contact us for Maserati work, schedule an appointment online, or visit us at 4155 W Oak Ridge Road in Orlando. Clients rely on our team of adept auto mechanics to offer services that are unrivaled by the competition. We look forward to giving your Maserati leading services so you can get back on the road feeling secure.